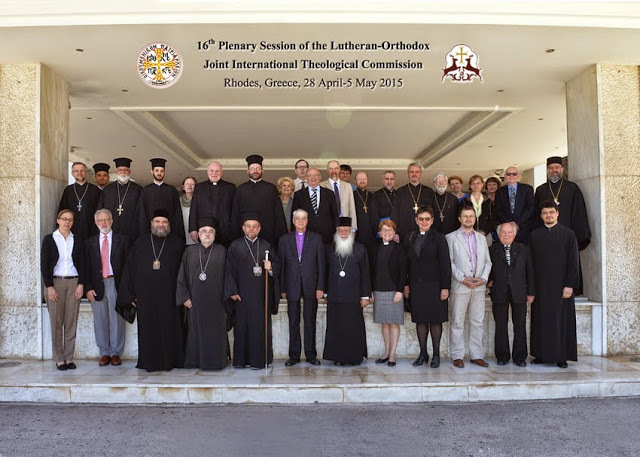 The 16th Plenary of the International Joint Commission on the Theological Dialogue between the Orthodox Church and the Lutheran World Federation was held in the Apostolic island of Rhodes, Greece (28 April – 5 May), hosted by the Ecumenical Patriarchate under the auspices of His Eminence Metropolitan Kyrillos of Rhodes. A message with blessings and prayers was received during the Meeting from His All Holiness the Ecumenical Patriarch Bartholomew. The meeting was chaired by the two co-presidents, from the Orthodox side by H.E. 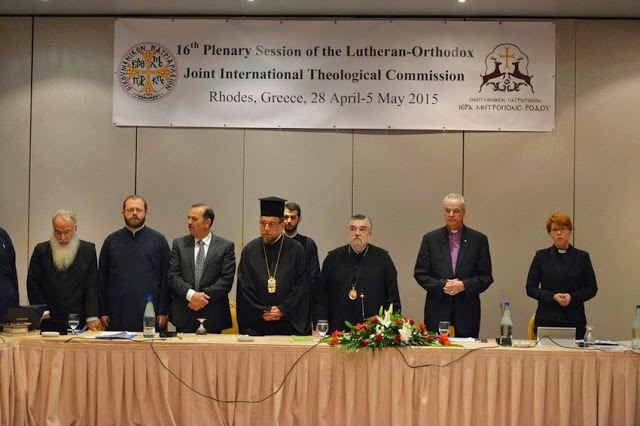 Metropolitan Prof. Dr. Gennadios of Sassima (Ecumenical Patriarchate), and from the Lutheran World Federation side by Bishop (em.) Prof. Dr. Christoph Klein (Evangelical Church of Augsburg Confession in Romania). Orthodox participants were delegates from the following Churches: H. E. Metropolitan Prof. Dr. Gennadios of Sassima and V. Rev. Second Patriarchal Deacon Dr. Theodoros Meimaris (co-secretary, Ecumenical Patriarchate), H. E. Metropolitan Dr. Makarios of Kenya and Εirinoupolis (Patriarchate of Alexandria), V. Rev. Alexi Chehadeh (Patriarchate of Antioch), V. Rev. 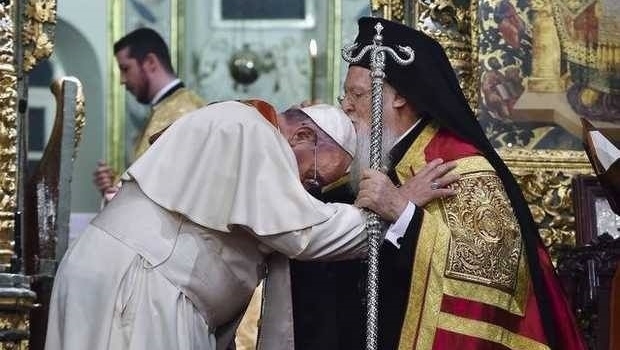 Protopresbyter Prof. Dr. George Dion Dragas (Patriarchate of Jerusalem), V. Rev. Dr. Valentin Vassechko (Patriarchate of Moscow), Dr. Rade Kisić (Patriarchate of Serbia), Rev. Prof. Dr. Viorel Ionita (Patriarchate of Romania), V. Rev. Protopresbyter Prof. Dr. Georgios Zviadadze (Patriarchate of Georgia), H. E. Metropolitan Dr. Isaias of Tamassos and Oreini (Church of Cyprus), Prof. Dr. Christos Voulgaris (Church of Greece), V. Rev. Andrzej Minko (Church of Poland), Mr. Nathan Hoppe (Church of Albania), and Consultants: Prof. Dr. Konstantinos Delikostantis (Ecumenical Patriarchate), Rev. Dr. Cosmin Pricop (Patriarchate of Romania) and V. Rev. Stefanos Chrysanthou (Church of Cyprus). The following Lutheran participants were representing various member churches of the Lutheran World Federation: Bishop Prof. Dr. Christoph Klein (Evangelical Church of the Augsburg Confession in Romania), Prof. Dr. Kenneth G. Appold (ELCA, USA), Rev. Dr. Stephanie Dietrich (Church of Norway), Rev. Prof. Dr. Hermann Pitters (Evangelical Church of the Augsburg Confession in Romania), Superintendent Klaus Schwarz (Evangelical Lutheran Church of Wurttemberg, Germany), Rev. Dr. Jeffrey Silcock (Lutheran Church of Australia), Rev. Dr. Jennifer Wasmuth (Evangelical Lutheran Church of Hannover, Germany), Rev. 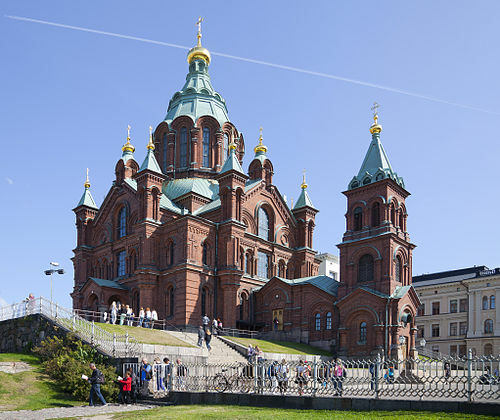 Prof. Dr. Risto Saarinen (Evangelical Lutheran Church of Finland), Rev. Prof. Dr. Sarah Hinlicky Wilson (Institute for Ecumenical Research, France, Consultant) and Rev. Dr. Kaisamari Hintikka (LWF, co-secretary).